LOS ANGELES (AP) — Rajon Rondo had surgery Thursday on his broken right hand, and the Los Angeles Lakers plan to use a variety of strategies to replace the veteran point guard while he heals. 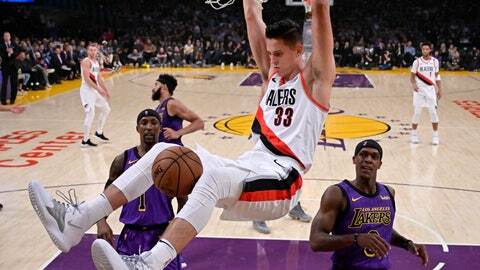 Los Angeles will be without Rondo for four to five weeks after he was injured in the fourth quarter of the Lakers’ fourth straight win, 126-117 over Portland on Wednesday night. Rondo apparently hurt his hand while making a steal, but he kept playing for several more minutes before coming out of the game. Coach Luke Walton praised Rondo’s leadership and two-way contributions after the Lakers’ final practice before heading out on a three-game road trip. Although he has played only 11 games for LA, Rondo is already a key component of the revamped club.